Duncan Leach McKay, 85, of Wagram, joined the Church Triumphant on Saturday, November 24th, 2018 at Quail Haven. Visitation will be from 6:00-8:00 p.m. Friday, November 30th, 2018 at McDougald Funeral Home. The funeral service will be at 11:00 a.m. Saturday, December 1st, 2018 at Montpelier Presbyterian Church in Wagram, officiated by Rev. John Baker and Rev. Howard Whitehurst. A private family burial will follow at the McGill-McKay Cemetery. Duncan Leach McKay, a lifelong resident of Wagram, North Carolina, was born on November 13th, 1933 to John Leach McKay and Gertrude McGuire McKay. Duncan, or “Dunc”, as he was known to friends and family was an active member of the Wagram and Scotland County community. He was a lifelong member of Montpelier Presbyterian Church where he served as a Deacon and Elder. He had served as a Wagram town commissioner. 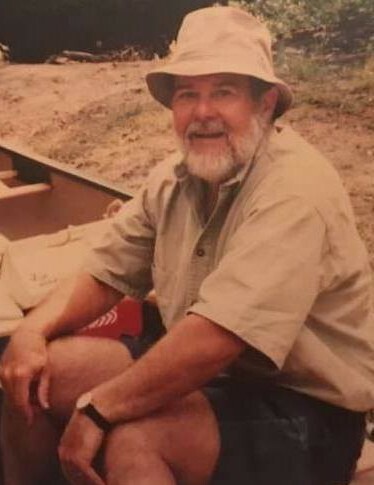 He was a founding member of the Scotland County Parks and Recreation commission, where during the 1970’s the idea of a Lumber River Canoe Trail was developed. He later was a founding member of the Lumber River Conservancy. He also was a member of the Laurinburg Kiwanis Club as well as the Wagram Post of the American Legion. Duncan touched many lives; whether through the family farm, his time as the rural letter carrier for Wagram, or church and civic activities, he was known for a warm smile, a helping hand, and a quick joke. He is survived by his sons, Jeffrey Leach McKay and wife Leigh-Ann of Winston-Salem, North Carolina, Neill Duncan McKay and wife Rhonda of Fairbanks, Alaska; grandchildren, Mollie McKay of Charleston, South Carolina, Emily McKay of Bozeman, Montana, Andrew McKay and Nathan McKay of Fairbanks, Alaska; and a host of nieces and nephews that he loved like his own. He is preceded in death by his wife of 57 years Dorothy Johnston McKay in August of this year; his siblings Peggy McKay Nelson and John Archibald McKay II. In lieu of flowers, the family suggests donations can be made in Duncan’s name to Montpelier Presbyterian Church, 24080 Main Street, Wagram, NC 28396 or the Lumber River Conservancy, PO Box 1235, Pembroke, NC 28372.